How much do you trust Facebook with your personal data? This statistic shows the trust with personal data among Facebook users in the United States in 2016, by age. 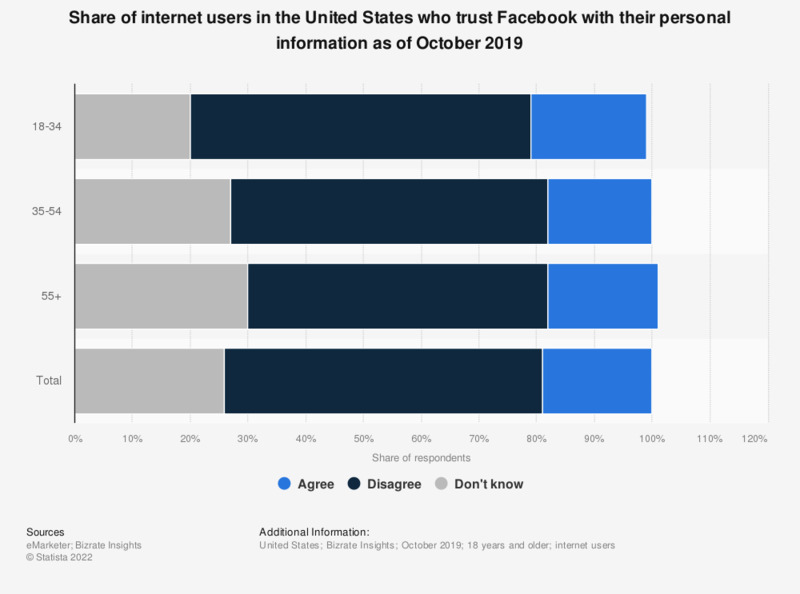 During the survey, YouGov found that 40 percent of respondents aged 65 years and older state that they did not trust Facebook with their personal data at all. Everything On "U.S. consumers and cyber crime" in One Document: Edited and Divided into Handy Chapters. Including Detailed References. Statistics on "U.S. consumers and cyber crime"
How concerned are you about your online accounts being hacked? Should law enforcement agencies have a right to access citizens' online communications for valid national security reasons?